We’re a little over a month out from Avengers: Infinity War and the anticipation is building. The heroes of the Marvel Cinematic Universe are coming together to battle the very formidable Thanos, and every film has, in some way, helped set up this epic showdown. But, Infinity War is going to send shockwaves through the rest of the MCU and set up whatever movie comes next. 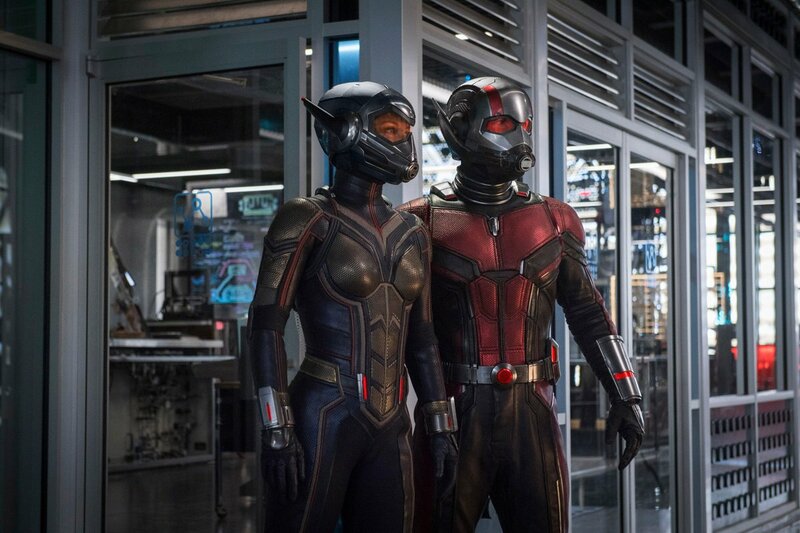 According to the film’s directors, there are lots of seeds for Ant-Man and the Wasp in the upcoming blockbuster. Anthony and Joe Russo, who are directing the next two Avenger films, chatted with /Film on the Infinity War set, and they started talking about the wider MCU. When asked about how the films tie together the duo gave the upcoming Ant-Man sequel a shout out. You mentioned that you guys read a bunch of the scripts for the other Marvel movies. Is there one before Infinity War that has the biggest lead-in that we can be expecting? Joe Russo: They all lead in in their own way, I think. As far as plot elements that actually drive towards the story, again, I think Marvel does a great job of segmenting the movies so that you can have your own experience in each film. I think from a plot standpoint, if there’s any corollary, Ant-Man 2 probably has some elements that stitch in. There has been a lot of discussion about how much Avengers: Infinity War will impact the MCU, and we will likely see that in Ant-Man and the Wasp. After all, it is the next film in the MCU line up. Even though Evangeline Lilly will not be appearing as The Wasp in the Avengers, Ant-Man will be there. It’s too early to guess at how, exactly, Infinity War will relate to Ant-Man 2, but fans have noticed that Paul Rudd’s hero hasn’t been in many of the trailers and promotional material for the film. Perhaps it’s to obscure his major role, the implications of which will be felt in the next Ant-Man movie. Or, maybe it’s because he’s very small. Avengers: Infinity War hits theaters on April 27, 2018, while Ant-Man and the Wasp opens on July 6.